ADCO Printing & Graphics – Locally owned and operated, ADCO is a full-service offset and digital printing, promotional products and sign company serving Washington and Oregon since 1995. ADCO offers superb quality and competitive pricing, specializing in same-day service. Big Frog Custom T-Shirts and More – Locally owned and operated, Big Frog specializes in exceptional customer service for businesses of all size. There’s always fun in store at Big Frog! The Blue Room Bar – A full-service bar, restaurant, and music venue in the heart of the Cartlandia food cart super pod. The Blue Room Bar and Cartlandia are conveniently located at the intersection of the Springwater Corridor and 82nd Avenue. Colorbox Creative – Graphic design by Jenni Mecham ranging from the personal (unique wedding invitations and signage) to the business (corporate logos and materials), Colorbox Creative specializes in customer collaboration to produce eye-catching results. Journeys – Journeys is a welcoming, comfortable, smoke-free pub. It’s also a mindset: at once playful and carefree but also inquisitive and contemplative. Join us for our upcoming fundraiser at Journeys on August 21, 2014! Levi Greenacres – Tattooer, author and illustrator, Levi’s most recent children’s book Mommy’s New Tattoo can be found at Powell’s Books. Levi himself can be found at Skeleton Key Tattoo, out and about Portland with his trusty camera, or storytelling at various local story theaters. Ninkasi Brewing Company – Delicious Oregon-brewed beer supporting local groups, teams, and community organizations. 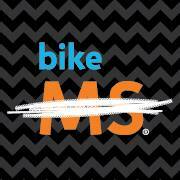 Tincture Craft – Purveyor of artistic cures for daily life and producer of the Bike MS jewelry line, of which 100% of the proceeds go directly back to the MS Society.